Everyone loves tax free money, but sometimes it’s hard to pay more today for a future benefit. Roth conversions definitely fall in the camp of delayed gratification – but could be a useful planning technique for many federal employees. Should I convert my TSP to Roth TSP or Roth IRA? Rarely does a week goes by without someone asking me if they can convert their Thrift Savings Plan to the Roth TSP or a Roth IRA. The simple answer to that question is no. 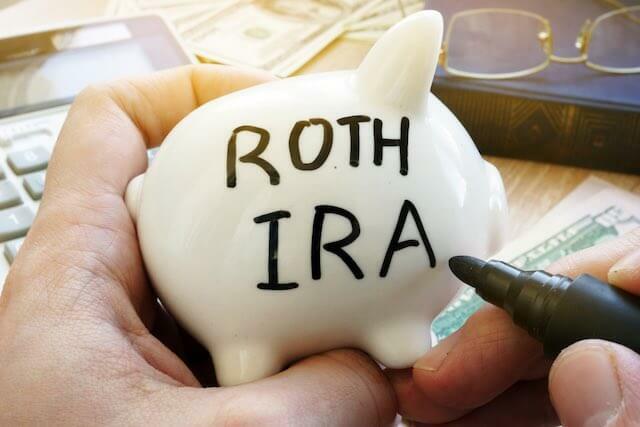 A regular TSP cannot be converted to Roth TSP, nor can TSP be converted directly to a Roth IRA. However, even though it can’t be converted directly, TSP can be rolled over to an IRA and then converted to a Roth IRA. In order to move TSP to an IRA, you either have to be separated from service or over age 591/2 to do a transfer. If you have IRAs, they can be converted at any time. The bigger question is should you do a conversion? It is very important to understand that you don’t have to convert your entire IRA at one time. In fact, rarely is it best to convert a large IRA in one year as opposed to doing it in multiple years. The most important element needed to decipher when doing a conversion is what tax bracket you are in today versus what your tax bracket will be in the future. If you believe that your future tax bracket will be higher, then a conversion is a good idea. If you have reason to believe that your tax bracket will be lower in the future, then you are better off not converting and delaying paying taxes. Although current and future tax brackets may be the most important criteria, there are a few other questions that need to be answered as well. Two years ago I never would have guessed that tax rates could go lower, but they did in 2018. Rates for all tax brackets went down in 2018 which makes a conversion look even better now than it did in the past. With tax rates this low, do you think they can go even lower than they are now? Here are two issues to consider that will impact our future taxes. The state of our national debt and entitlement systems don’t scream lower taxes, but who knows, I guess it could happen. Will you take distributions prior to turning age 701/2? In my opinion this is a very important question. If a person doesn’t need distributions at the age of 60, why would they need twice the distribution at age 701/2? Here is an example of how this could look. Jane retired at the age of 60 with a TSP balance of $400,000. If Jane were to make 7% return over the next 11 years, the balance would be over $800,000 by age 71. That means that Jane’s forced distribution, or RMD, would have doubled in the past 11 years. At age 71 Jane will be required to take an RMD of approximately $31,000 a year. If Jane didn’t need to take distributions from TSP at age 60, what is she going to do with an extra $31,000 at age 71? People that don’t need to take distributions from TSP, but are forced to at age 701/2, are likely going to reinvest their distributions. The first problem with this strategy is the extra income could push you into a higher tax bracket, therefore you are netting a smaller amount from your distribution. The second issue is that after reinvesting the RMD taxes have to be paid each year on the gains. By delaying your RMDs you may end up paying higher taxes and then invest the money in an account and continue to pay taxes annually on the growth of the account. There may be a better way. What tax bracket are your beneficiaries in? Your assets are eventually going to pass on to your beneficiaries, and you delay taking distributions those assets will likely continue to grow. Most people will name their spouse as primary beneficiary and then their kids, so eventually assets will pass on to kids. If you don’t plan on drawing out all of your TSP and IRA assets in your lifetime, it might make sense to do a conversion if your kids are in higher tax brackets than you are. For example, if you can pay taxes at a 12% or 22% rate and your beneficiaries are in a 32% tax bracket, it would be beneficial for you to do a conversion before passing assets on. An immediate conversion may not be the best plan for many federal employees, or even be possible if you are under age 591/2 and still working. However, many federal retirees will have lower income in retirement which makes conversions more attractive. Here is an example of a situation where a conversion can work very well. John retires at the age of 60 and has a TSP with $500,000 in it. John’s income went from $100,000 down to $60,000. John is married so his tax bracket is now 12%. John could convert $17,400 per year to a Roth IRA and stay in the 12% tax bracket. If John’s 500k continues to grow and he waits until he is forced to take distributions, he could be forced to take distributions amounting to over $40,000 a year and pay a higher tax rate. Starting to do conversions at the age of 60 will do a number of things for John. If you want to do a Roth conversion, you must be able to pay the taxes on the amount you are converting. This money could come from another account, or you could take a little higher distribution to cover the tax, but there must be a plan in place to pay the taxes. Roth conversions are not a one size fits all planning technique. As your personal finances change, reevaluate the viability of a TSP to Roth Conversions at least once a year. Conversions can be a great fit early on in retirement, especially for retirees that otherwise wouldn’t be taking distributions. Evaluating the benefits of a Roth conversion is something we do annually with our planning clients. If you would like a partner to help you on your retirement journey and evaluate things like Roth conversions you can schedule an intro call with Brad.